SWIX TRIAC 2.0 primeggia nei test di Skisport Magazine!!! A pole with very few weaknesses. 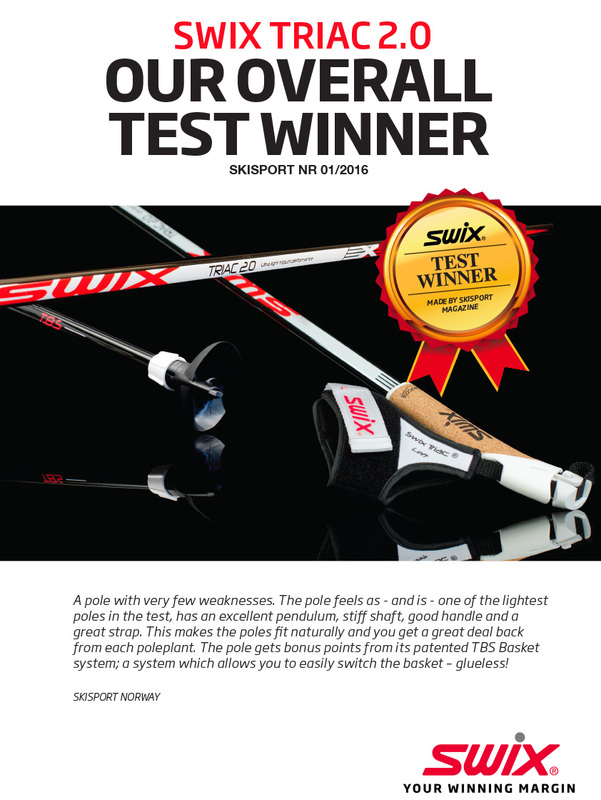 The pole feels as – and is – one of the lightest poles in the test, has an excellent pendulum, stishaft, good handle and a great strap. This makes the poles t naturally and you get a great deal back from each poleplant. The pole gets bonus points from its patented TBS Basket system; a system which allows you to easily switch the basket – clueless!